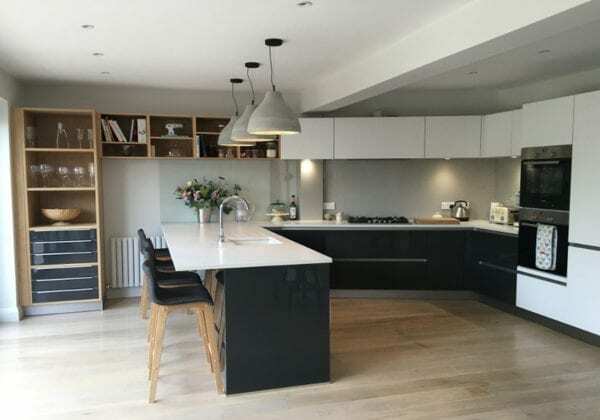 This kitchen diner is part of a new extension.The angled wall along the hob run is due to the driveway being positioned on the outside of this wall. The Lava black high gloss units are from our Next125 range with the wall and tall units in Crystal white satin lacquer finish. The open shelving is also from Schuller and is in Light knotty brushed.